You work really hard to make your website stand out, spending countless hours every week on techniques to boost your SEO and rank higher. But there’s one strategy that’s still vastly underutilized in the world of search engine optimization and social media marketing these days – guest posting. In fact, guest posting – usually with a blog that you write and submit specifically to be hosted on another website – is one of the most powerful tactics in internet marketing today. (I’ve even heard estimates that guest posting is five times more valuable than creating content on your own site, alone!) Also called guest blogging, we’ll use the terms interchangeably for the purpose of this guide. The number one benefit to guest posting is that it vastly improves your ranking with the search engines, which is invaluable for any brand, blog, or marketer. It’s one of the best ways to drive traffic to your website or landing page. Guest posting also gains you a host of new followers, readers, email subscribers, and potential new clients, vastly increasing your audience. It also builds relationships with others in the industry, setting up a mutually-beneficial network of influencers who can regularly help each other. Guest posting also helps establish you as a trusted, credible expert in your field. The chance to establish your name and pad your resume with contributions to larger, respected platforms. We now know that there are a slew of benefits for the guest blogger, but what’s in it for the website/blog host? If the golden rule of the internet is that content is king, then everyone is looking for more quality, relevant content to add to their site or blog. But there really are no “shortcuts” when it comes to producing good content that will shine with the search engines, as research, writing, and even posting takes time. So, when you reach out to someone and offer to submit a guest blog or article, you’re also solving a problem or filling a need for them. Ostensibly, your guest blog or article will provide value to their readers and viewers, give them something new and relevant to share on their social media platforms, and improve their ranking with the search engines, too – all with little or no effort (or cost) on their part. 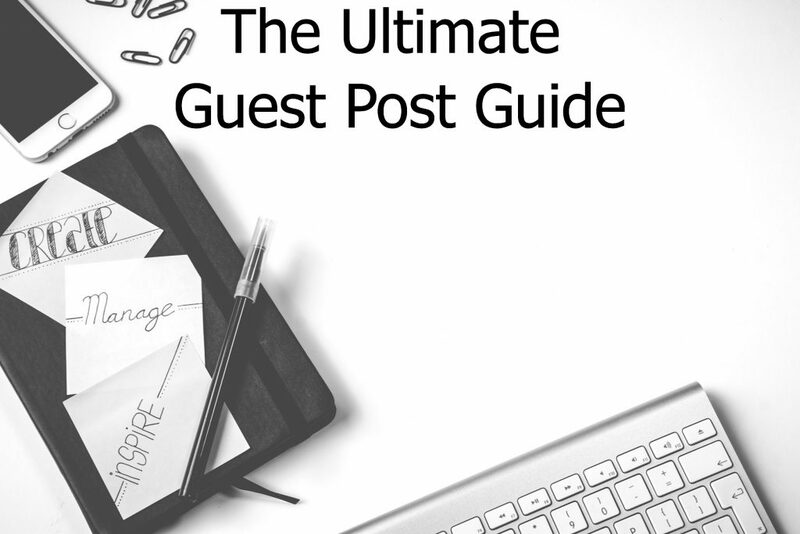 When done correctly, guest posting is a win-win! Why is guest posting a blog so powerful? Every guest blog or piece of content should include a backlink, which is the real critical element. A backlink (which is just what it sounds like: a hyperlink back to your website or platform embedded in the blog) is viewed extremely favorably by the search engines’ algorithms. Of course, you want readers and viewers to click on this link, too, but even if they don’t, the value to your Search Engine Optimization will be significant. 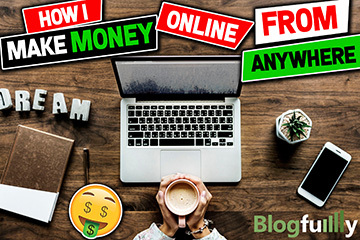 You should know how to do this process from scratch yourself and then decide if you prefer to keep doing it manually or paying for a service like Outreach Land to just buy your guest posts from. Of course, you only want to post on high-quality sites that have a significant readership. However, if you start emailing the biggest and best sites on the Internet with an offer to guest post, your email probably won’t even get read (at least at first). Additionally, you only want to guest post on sites that have something to do with your niche or what you’re trying to achieve, including their readers. So, how can you find that right balance between websites that are popular and good enough to gain you some value with a backlink, but also who will answer your emails and be open to the idea? Find lists of sites that accept guest posts. There are plenty for sale or even for free that categorize and organize blogs open to your post. “guest article,” “guest post opportunities,” etc., you’ll find a good number of blogs that regularly accept guest submissions. Do a Google Reverse Image Search. Do you regularly see the same handful of experts writing obvious guest articles for the top websites and publications in your field? I bet they have a headshot image with their bio and website. Click to find the URL of that headshot and put it into Google’s reverse image search feature and you’ll receive a short list of places they’ve posted – and you can contact. Find your competitors backlinks, reverse engineer them, and you’ll find places that may be open to your post, too. Search Twitter for basic guest post strings and comb through the results to find places that are open to guest posting. After identifying sites in your niche that may be applicable, you’ll want to narrow down that list, so you can actually email and approach them with the offer. Sure, you can be one of those people who just email the website’s host out of the blue, asking for something. But isn’t it much more polite (and far more likely to have your offer of a guest post accepted!) if you “warm them up” a little, first? It doesn’t have to take a big effort and a lot of time to say hello, establish some sort of familiarity, or even show that you’re a team player before sending over your guest posting request. Go to the blog or site that you’ve targeted as a good potential partner for your guest article and leave a few positive, encouraging comments on their recent blogs. Follow them on Facebook or Twitter and do the same, as well as sharing their content. They’ll definitely appreciate it – and remember you – if you share their content! Include them in one of your own social media posts, like “If you’re into XYZ, then you need to follow this blog/website” and tag them. Email the person in charge with some great feedback and a quick thank you, plus a super-brief introduction of who you are and why you care. By doing so, they’ll surely remember you when a request to guest blog for them shows up in their inbox a week later, and it will seem like an organic connection. Of course, you’ll have a general idea what you want to convey in your blog and the audience that you (hope) reads it and then clicks on your backlink. But, to make sure it’s a good fit with the potential blog host, you’ll want to do a little bit more research. Look at the most popular posts and blogs on the site, paying attention to what they said and how they said it. Emulate those! Or, instead of just digging around page to page, you can use analytics tools like Ahrefs to find that blog or website’s best performing posts. To find trending topics in your niche, you can even head over to sites like BuzzSumo. Of course, it’s always important to read that site’s guest posting guidelines, if they have them, which will not only make our job easier but demonstrate that you’re not wasting their time. 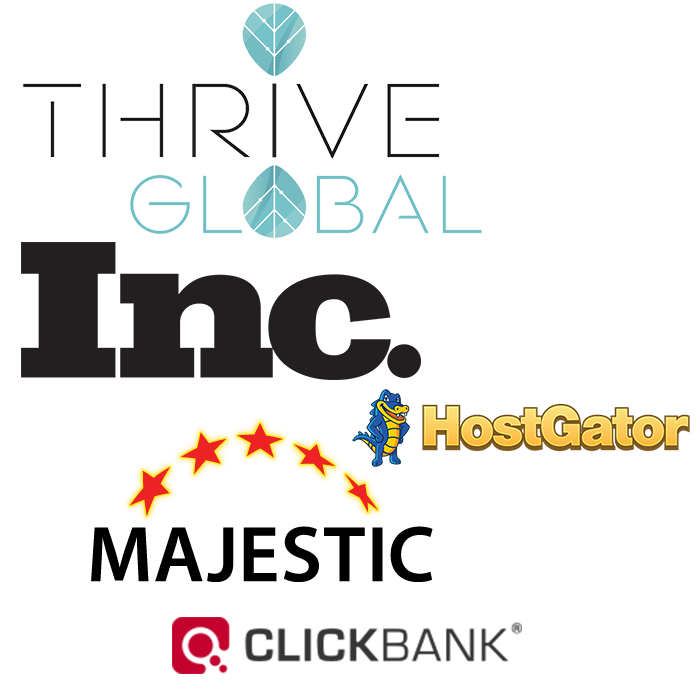 At this point, you’ve done all of your research, and you’re ready to approach the websites and blogs on your short list with the offer to host your guest article. Most often, this is done with a simple introduction email these days, although it may be on their Contact form, too. BE CLEAR. Too many emails are thrown in the trash bin when the sender writes something like “I saw your website” or “I’d like to write for your site” (without considering that they may manage ten websites! Start with Who, What, When, Where, and How. Show that you’re not a spammer by mentioning something very specific about their site, demonstrating that you’ve done your homework. Mention their audience, what their audience reads and responds to, and similar posts or guest posts that have done well on their site before. Keep it short (that’s a lot harder than it seems!) – 150 words or less is ideal, with an offer to give them more information if they’re interested. DON’T give in to hyperbole by using words like “Best,” “Amazing,” “Guaranteed,” etc. Undersell it to show that you’re truly a professional. Give a brief (two sentences are fine) summary of who you are, your credentials, and why you’re an authority on this subject. Instead of making this a yes or no offer, give them three options for guest post ideas and ask them to choose one that would be best for their site. Have you heard that “brevity is the soul of wit?” Well, that’s NOT the case when it comes to guest posts and blogs, because the search engines assign a higher value to longer posts. For most guest posts, I try to go past 2,000 words and 2,500 words or more is ideal. Of course, if their blog’s format or the topic lends itself to a shorter post, then that’s fine, too. But make sure it’s useful and valuable to the reader. I say “produce” because there’s more that goes into a successful post than just well-written content. You may want to create and include a custom image (an image is worth 1,000 clicks – or something like that! ), infographic, quotes from others in the field, a special offer. With posts that are instructional in nature (How-To), the reader will drown in vast seas of text – or just click away. So, include plenty of screenshots or slides interspersed throughout your guest blog that guide them, simply and visually. Of course, use internal links to their other relevant articles (they’ll really appreciate that!) and the strategic inclusion of your own important backlink(s) – the whole reason you’re doing this! 7. Your guest blog is posted – now what? So, they said yes, you write a terrific blog, sent it over, and they just posted it on their website. Congrats – you’re live! But it’s not time to sit back and enjoy the glow of your accomplishment just yet, as there’s more work to be done if you want to maximize the benefit of this guest posting. Of course, you’ll want to share the article on your own social media. Use a link shortener and include any relevant images. You may even want to pay a few bucks to boost it. Send a Thank You email to the person you connected with at their blog/website, telling them that you appreciate the opportunity and hope to contribute more in the future. You may even invite them to submit a guest blog on their site if they wish. Closely monitor the comments on your guest blog, especially in the days after it was posted. Thank people for reading and their insightful and thoughtful feedback (even if it’s not!). When appropriate, invite them to check out more/something else with another link. You can take the same content that you posted on the guest blog and post it verbatim on your own blog (but only after it’s published). Then, include something like “Originally written for XY,” or “Originally published in XYZ,” with a link to their original article. Stay in touch by dropping them a quick email if there are any developments, changes, or breaking news that pertain to the topic of your guest blog or your niche – they’ll probably be open to another guest blog from you! Something to consider – should you let people guest post on your site? The short answer to this is “yes.” In the spirit of reciprocity, it’s a good idea to let others guest post blogs or content on your site, too. While there isn’t a profound SEO benefit to posting a backlink to someone else’s site, it will create a system of equity, where you are free to approach them with a guest post, too. By doing so, you create a network of guest-posters and hosts, helping each other rise in the rankings and popularity. However, it’s important that you only accept fresh, high-quality, well-written, and relevant content that meets your current blog’s feel. When someone offers to guest post, I will send them some guidelines that include word count, audience demographics, keywords, topics, etc., so it’s most effective for both of us. Also, I’ve had many readers ask where they can buy guest posts themselves if they wish not to do all of the steps listed above. My personal source for getting my guestposts is Outreachland so feel free to get yours from there too.